Two months into this premier tournament of Japan and this is how the statistics look like: 8 matches played, 4 rained out, 0 tied and 1 upset. While Division I had five of their matches scheduled in the first two months and Group B of Division II, four, Group A teams had to content with only one match which was rained out. The results so far have been more or less in the expected lines with possibly one exception. In what can be termed as an upset, Yokohama County and Athletic Club defeated the defending champions, Tokyo Giants, by 4 wickets. Having batted first, the Giants scored 248, which was studded with 16 sixes, in 36.3 overs with Hamid Saeed(68, 8×6) and Jahangir Babar(54, 3×6) crossing the half century mark. However, the man who prevented a greater damage to the YC&AC was Andy Coles, whose magnificent figures of 6/40 included a hat trick, which possibly could be a KCL first. YC&AC then scored 252/6 in 39.2 overs with Coles scoring 66 while Avinash Jadhav top scored with 98. In another D-I match, the Friends XI sent a depleted Shizuoka Kytes to the cleaners to win the match by a huge margin of 270 runs. In a KCL record, the Friends scored 371 after choosing to bat first. In that process they erased the Indian Engineers, who held the record until then(322/5 off 35 overs) set against the British Embassy, from the KCL history and found a place for themselves. 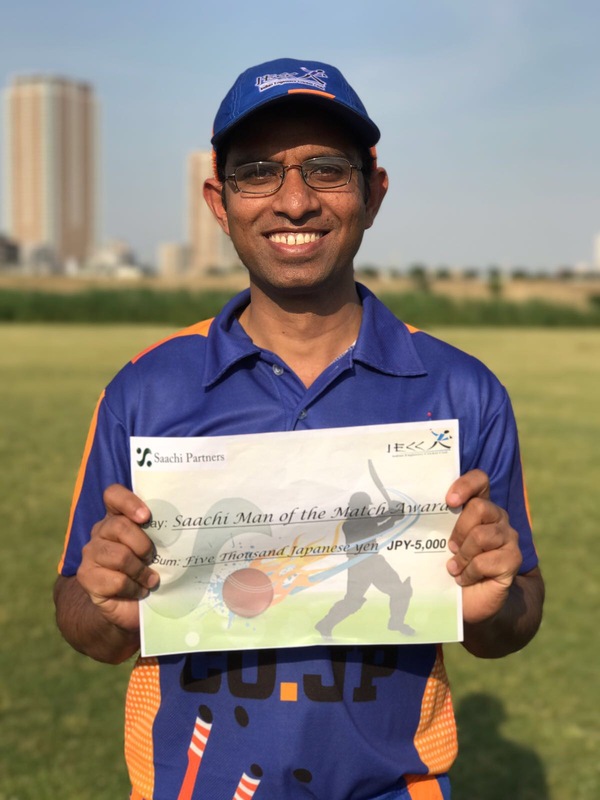 Munir Ahmed helped himself with a KCL highest individual score of 164(18×4, 11×6), eclipsing the previous best of 147*(16×4, 8×6) set by Viswa Ghosh of Indian Engineers against the British Embassy on the same ground last year in a KCL play-off match. 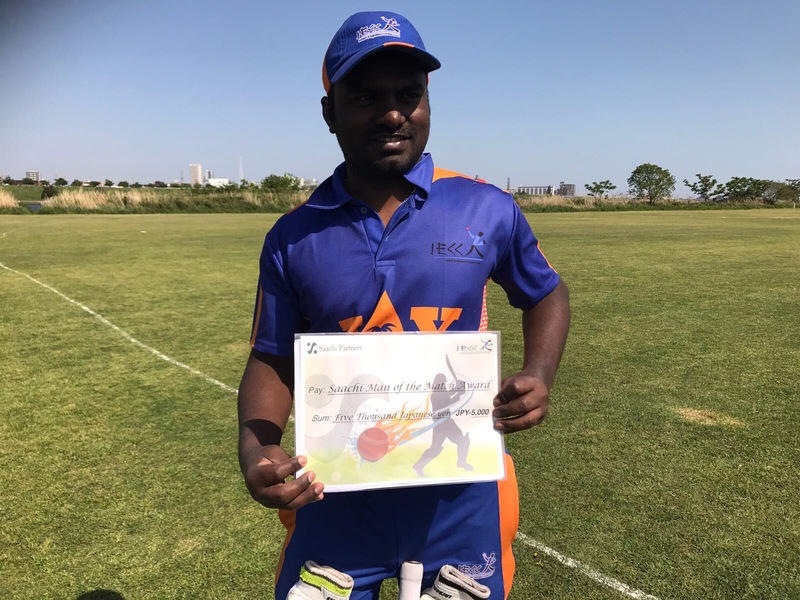 Captain Aamir Ali, who along with Munir Ahmed put up a mammoth 159 run partnership for the third wicket, chipped in with a solid 71. In reply, the Kytes could manage only 101 runs, the wrecker-in-chief being Shahad Siddiqui with figures of 5/13. The only saving grace for the Kytes was the tail-enders showing the top order how to bat. At 34/7, the Kytes tail wagged to cross the three figure mark before they folded up for 101. The Kytes, however, are finding solace in the fact that they could manage only 31 runs against the same opposition last year before they were shot out in a KCL match. Meanwhile, the Shizuoka Kytes leads the points tally in D-I with 7 points off 3 matches while Friends are closely behind with 6 off 2 matches. In D-II, Fuji Far East leads the pack with 9 points off 3 matches. Latest match results and points tally are available here. This 6 team tournament being held the Edogawa Cricket Ground saw two of its matches washed out in its first month. In the other matches, Edogawa Falcons defeated the Pakistan Eaglets and Gunma defeated the Indian Engineers. The Engineers had batted first and scored 199, thanks to a late order hitting by Dinesh Singh and Ashok Kumar. But the Gunma overcame the score in the 36th over for the loss of 8 wickets. Read report here. > Kobe RAC defeatd Osaka Bulldogs. Osaka Bulldogs 147/9, Kobe RAC 150/5. > Gunma defeated Indian Engineers. Gunma 232, Indian Engineers 125. > Indian Engineers defeated YC&AC. Indian Engineers 187, YC&AC 156. > Nova defeated Osaka Bulldogs again. Osaka Bulldogs 153, Nova 154/4. 1. Who was the first New Zealand batsman to score a century in each innings of a Test? 2. Which of these great bowlers was chiefly responsible for India being 0/4 at Leeds in 1952? 3. Who was South Africa’s captain when they thrashed Australia 4-0 in the 1969/70 Test series in South Africa? Answers at the end of this Newsletter !! 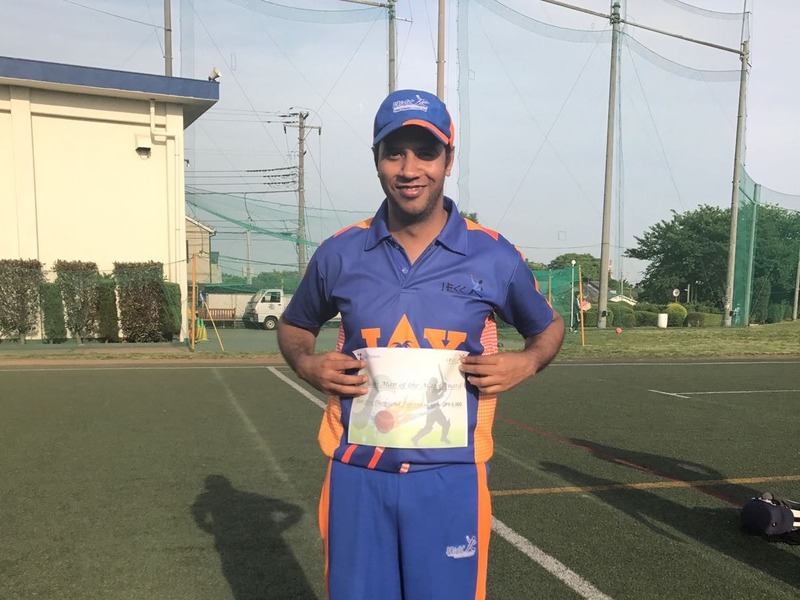 The Indian scribes covering the Football World Cup in Japan were surprised to find that cricket also was being played here. Read the article on Indian Express, India’s largest circulated English language daily. Have you ever faced a delivery at 100 mph? Do you want to practice leaving deliveries outside the off-stump? Shouldering arms? Do you want to play a true inswinger or outswinger? Major clubs, State teams and National Squads use a Bowling Machine to train their players. A Bowling Machine is the ultimate tool you can have to develop and improve your game. But how do I access one…? Do we have one in Japan…?? Well, if you are living in Japan, you are unbelievably lucky…!! You can contact I.E.C.C. to access this invaluable tool of a cricketer. This imported machine is available to you at a reasonable cost !!! 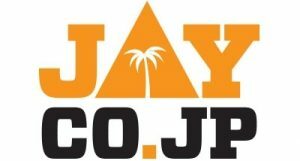 A free bi-lingual coach is available if you are a Japanese and can’t speak English. Hourly or daily rental possible. So improve your cricket and get that elusive Best Batsman/MoM/MVP of the league trophy.